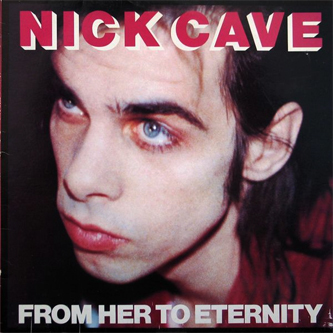 The album debut of Nick Cave & The Bad Seeds, From Her To Eternity is the first in Mute's series of Nick Cave reissues. "In 1984 something new was born out of the ashes of The Birthday Party (Cave's former band), some scratched old records by southern bluesmen, and the last days of the divided Berlin. The narrative art that Cave had begun to master in the later days of The Birthday Party flourishes on From Her To Eternity, in the sick humour of 'Wings Off Flies' and 'A Box For Black Paul'. This is where we first see Cave's lifelong exploration and fascination with the American South in 'Swampland'."